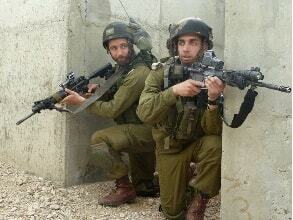 The Mideast peace plan seems to be going nowhere except towards war. With an Israeli election on April 7 (2019) there is potential for instability in Israeli politics with so many minority parties that often have to be involved to form a majority government. 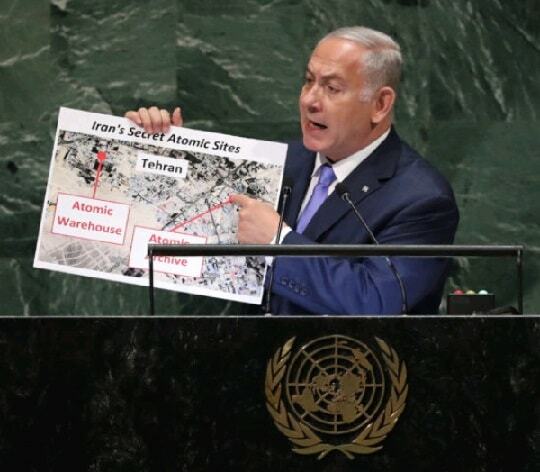 Israel's enemies still have the desire to wipe Israel off the map. 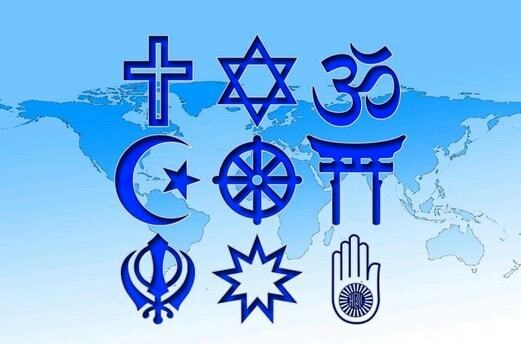 At the same time, there are moves towards a one-world religion with even prominent Islamic leaders being involved. 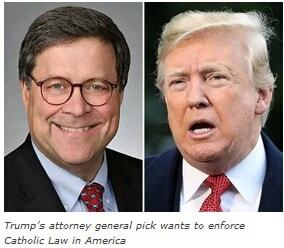 In the U.S. there is a new Attorney General who wants Catholic law to be enforced in America. One can see the likelihood of a Sunday law coming to the U.S. in the foreseeable future in connection with lessening pressure on the environment. 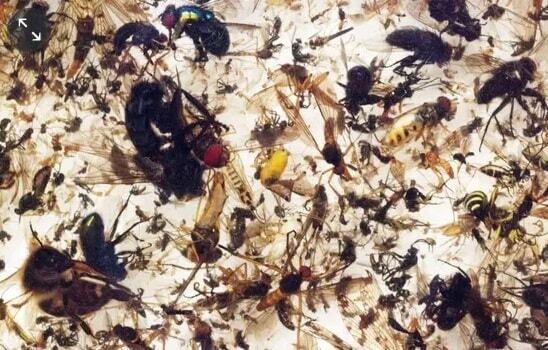 Speaking of the environment, even if a Mideast peace plan was successful, we are headed for disaster with the frequency of disasters increasing and the increased rate of extinction - even of insects. In many ways, our planet seems to be headed towards a crisis point. Trump's senior adviser previews move at Warsaw conference. WARSAW - The United States will put forward a Middle East peace plan after an Israeli general election on April 9, Jared Kushner, President Donald Trump's son-in-law and senior adviser, told officials at a Middle East conference on Thursday. 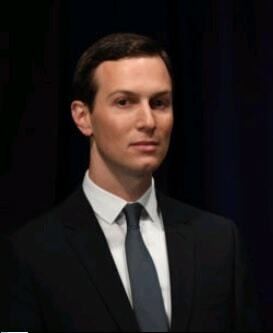 Ministers who took part in a closed-door session with Kushner at the conference in Warsaw said he told them that Israelis and Palestinians would each have to compromise. A number of nations chose to boycott the U.S.-sponsored conference, including Russia, Lebanon and the Palestinian Authority, raising serious questions about whether the Trump administration will have the credibility to gain any momentum for a peace proposal. Trump has also made a number of divisive moves in the Middle East, including announcing the relocation of the U.S. Embassy in Israel to Jerusalem from Tel Aviv. Russian President Vladimir Putin on Thursday held a rival summit in Sochi with the leaders of Turkey and Iran. WARSAW - A barrage of Twitter-fire quickly torched any notion of a Middle East peace conference - along with any illusions the meeting in Warsaw was not designed to focus on Iran. As officials from dozens of nations gathered for the U.S.-sponsored event in the Polish capital Wednesday, Israeli Prime Minister Benjamin Netanyahu posted a tweet threatening war with Iran. Proclaiming the historic importance of the event, the Israeli prime minister's official account tweeted: "This is an open meeting with representatives of leading Arab countries, that are sitting down together with Israel in order to advance the common interest of war with Iran." The tweet was quickly deleted and replaced with a new one that used slightly softer language about "the common interest of combating Iran." drone and has now tested it. The Islamic Revolutionary Guard Corps (IRGC) described the military drills as Iran's largest exercise of its kind to date, and occurred mostly near the strategic Strait of Hormuz. State-run Fars and Tasnim news agencies described the operation as including, "for the first time, 50 Iranian drones on the RQ-170 [US Sentinel] model operated with a number of assault and combat drones." According to Iranian defense officials, including IRGC Ground Force commander Maj.-Gen. Golam Ali Rashid, who helped command the operation, the drone "offensive operation" saw UAVs operate simultaneously at distances of more than 1,000 km away from each other (about 620 miles) and struck remote targets with "high precision." Gen. Rashid told state sources that contrary to the western perception that the Iranian Republic is failing in technological advancement, instead "today we are witnessing the strongest maneuvers of the IRGC's Aerospace Forces." He bragged that enemies would be "humiliated and feel shame," according to state media. It is amazing how events are so rapidly unfolding before our eyes, it seems we could only write as fast as the information is happening, and as quickly as the Bible is fulfilling before our eyes. Month before last we talked about Evangelicals and how they are talking about Trump giving them their power back, taking the muzzle off. And all of this is just a fulfillment of the final prophecies in the book of Revelation chapter 13 leading us to the most awaited issue to come in this world. The Time of Trouble and the coming mark of the beast enforcement. William Barr was nominated this month to be the Attorney General, that is the principal legal officer who represents a country or a state in legal proceedings and gives legal advice to the government. Or the head of the US Department of Justice. And just what is justice to William Barr? Well, he is a Catholic who wants God's law to be enforced in America. Furthermore, in order to do that those who are extremist secularists must be stopped. By the authority vested in me as President by the Constitution and the laws of the United States of America, it is hereby ordered as follows: Section 1. Purpose. An electromagnetic pulse (EMP) has the potential to disrupt, degrade, and damage technology and critical infrastructure systems. Human-made or naturally occurring EMPs can affect large geographic areas, disrupting elements critical to the Nation's security and economic prosperity, and could adversely affect global commerce and stability. The Federal Government must foster sustainable, efficient, and cost-effective approaches to improving the Nation's resilience to the effects of EMPs. Click here to read it all - much more about the impact coming soon. In this new story over at RT they report on a warning issued by radiation expert Arthur Robert Firstenberg who has written the books "Microwaving Our Planet: The Environmental Impace Of The Wireless Revolution" and "The Invisible Rainbow: A History Of Electricity And Life" and who is now petitioning the World Health Organization, the UN and the EU to "urgently halt the development of 5G." 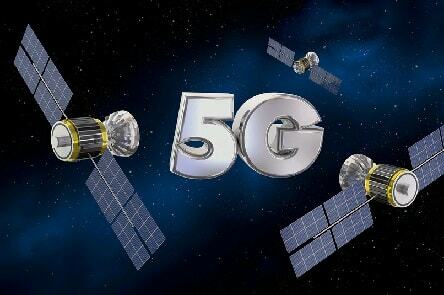 "The deployment of 5G constitutes an experiment on humanity and the environment that is defined as a crime under international law," the petition states. 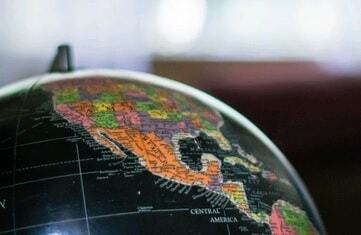 The US rollout of the new network has already begun in cities like Houston, Indianapolis, Los Angeles, and Sacramento. Scientists tell us that someday the "Big One" will strike California and large portions of the coastline will plunge into the ocean "almost instantly". Could it be possible that we are a lot closer to that day than many had anticipated? Over the past several days, there has been a lot of shaking along the North American portion of the Ring of Fire. In particular, during a 24 hour period over the weekend one area of the California coastline was hit by 10 earthquakes of at least magnitude 3.0, and this created such a stir that it made the front page of the Drudge Report. 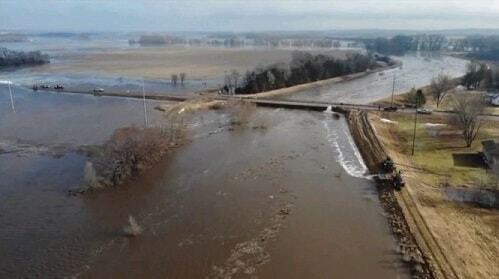 The worst flooding disaster in the history of the Midwest is just getting started, and as this crisis unfolds we are all going to be feeling the pain. The "bomb cyclone" that recently brought hurricane-force winds and blizzard conditions to the middle of the nation was the spark that set off this catastrophic flooding, and now all of the snow from one of the snowiest winters in decades is going to be feeding into rivers that have already shattered all-time flood records. As you will see below, most of the Great Plains and Upper Midwest is currently covered by more than 10 inches of snow, and all of that water has to go somewhere. As all of that snow melts, we are going to witness an agricultural disaster that is far beyond anything that we have ever seen before in modern American history. 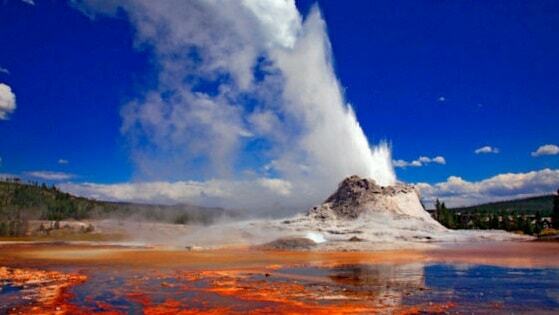 Some of Yellowstone's geysers have been more active lately reigniting fears that the massive supervolcano will erupt. The sudden bursts of steaming hot water highlight the dramatic nature of Yellowstone while reminding us we are all at the caldera's mercy. While average people seemed concerned, geologists seemed excited and thrilled when Yellowstone's steamboat geyser began erupting again in 2018. It has been erupting as often as once a week since last March, according to National Geographic, and scientists continue to say the volatile activity is not a sign of an imminent eruption. The Yellowstone Volcano Observatory reported that Steamboat has now set a record by erupting a whopping 32 times in 2018, a personal best for the geyser for a single calendar year. It's the world's tallest active geyser, and at the best of times, it can shoot hot water 300 feet into the air. However, it isn't just the Steamboat Geyser that has been concerning people. Ear Spring Geyser, for example, has been almost since 1957, but it erupted spectacularly a few months back and sprayed human garbage from the 1930s all over the national park. But scientists insist this doesn't mean an eruption is pending. "It's a good lesson in how geysers actually work," said Michael Poland, the scientist-in-charge at Yellowstone Volcano Observatory. "As soon as you start to recognize a pattern [in a geyser's eruption], it changes." "As [far as] geysers go, Steamboat is sort of typical in terms of having these sporadic, unpredictable eruptions," Poland notes. "But because it's this really tall geyser and it has this name recognition, it makes it that much more interesting." But again, it's not just Steamboat Geyser that has people concerned. "But back in 2007 to 2008, Giant [geyser] went bananas," Poland says. "It erupted many, many more times than it had in the past year-and Steamboat didn't do anything of the sort." Destruction from God or Messages of Warning? And that is only the first three trumpets. It doesn't get any better after that. But consider that trumpets, in scripture, represent messages, especially messages of warning. The seven trumpets that are sounded starting in Revelation chapter 8 could represent messages of warning or instruction or something very important to the inhabitants of planet Earth. We are not told the contents of those messages but no doubt they are meant to be heard and heeded. It is important to note that the angels are given trumpets (Rev 8:2). It says nothing about them being given anything like hail, fire, mountains and stars. So, after each message is given, there is a destructive event - something that surely would (and is probably intended to) turn the attention away from what God wants people to hear and understand. We should not automatically attribute those destructive events to God or His angels. The Bible does NOT say the destruction comes from God. The Bible is clear that Satan is the destroyer, not God. It is quite possible that messages are given by holy angels and are followed, in each case, by destruction from evil angels. Please note: While the items reported here may be somewhat scary they are not presented with the intent to scare anyone or contribute to a spirit of fear. We are told to watch and know when our Savior's coming is near. While it doesn't hurt to think of preparation it is most important to know and have a relationship with God. I would like to remind readers again of my other website www.characterofgod.org where there is lots of information about God's character. It has been much maligned and misunderstood. Our real hope is in knowing what God is really like and that mostly through the life of His Son Who came to reveal His Father to us. Things could change very rapidly in our world and it may happen in response to some trigger event. There are so many factors that are near a crisis point - the economy, nature, shaky international relations, food production, the refugee crisis, possible disease outbreaks, the terrorist threat and on and on. The last article in this newsletter, the one on the seven trumpets of Revelation makes the point that Satan is the destroyer and is out to steal our salvation. He can best do this by including distraction from the truth in his methods. I think it will become evident that he is all about distraction and the surprise element. So don't be surprised if conditions on earth do change very suddenly - "as in the days of Noah." We need to be prepared but especially in terms of our relationship with God who is our provider and protector. I would urge readers to read the last article above (which I wrote) and follow the link for the full study and further information on my other website.